Being overweight is becoming more and more of a common scenario nowadays. It is not surprising why a lot of people are striving hard to find ways on how they can shed their extra pound in the safest and fastest possible way. A myriad of weight loss products had been invading the market due to the increasing demand of the public. Every now and then, you will find newly-developed pills, creams, workout tools, medications and diets that promise the same thing—lose weight fast and safe. HCG weight loss diet is among the weight loss regimens gaining popularity nowadays. It is based on the studies of Dr. Simeons, who studied the effectiveness of using HCG or Human Chorionic Gonadotropin hormone in treating adolescent boys who have problems in sexual maturation. He discovered that the adolescents who participated in his study showed a significant decrease in weight upon receipt of HCG. This lead him to conclude that HCG can be utilize as a weight loss tool for overweight and obese people. You might have heard several testimonials regarding the effectiveness of HCG. Originally, Dr. A.T.W. Simeons administered HCG intravenously through injection. Today, HCG solutions are being manufactured and sold as drops, injection solutions, pills and even transdermal solutions. HCG is a really promising product. However, health experts are having contradicting views regarding the sale and prescription of HCG products. HCG is still not approved by the Food and Drug Administration and the National Health Institute, claiming that HCG is not proven to be effective and safe to be used for weight loss purposes. However, manufacturers and other health experts who are proponents of HCG claim that the government is just protecting the ‘weight loss industry’ since manufacturers of other weight loss products will surely lose their costumers once the public realized that HCG is really effective. If you already made up your mind that you want to use HCG products to lose weight then there are certain things that you need to consider. 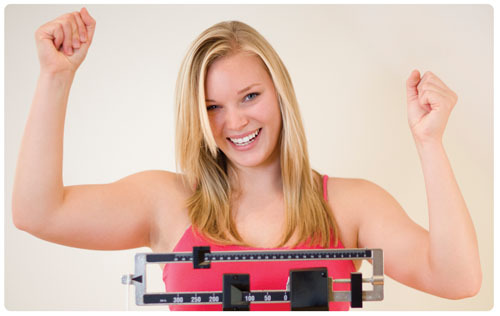 First and foremost, make a thorough research on how to carry on the HCG weight loss program. You will not be able to obtain your desired effects if you will not be able to correctly follow what is indicated in Dr. Simeons’ HCG weight loss regimen. You can find a copy of his book entitled “Pounds and Inches” online and download it for free. Try to study carefully every bit of detail indicated in the book so you can gauge if you will be able to carry on with the HCG weight loss program. Once you are already equipped with enough information on the HCG weight loss regimen, visit your doctor and tell him about your plan to try the said diet. He can perform necessary check-ups and tests to know if you are not contraindicated to undergo the said program. Understand that the body compositions and conditions of people are not the same. HCG weight loss program may be compatible for some but not for you, so it is still best to consult your doctor. Once your doctor has approved your plan, you need to find a place where you can purchase HCG products. Some doctors are already prescribing HCG through injections and you can directly obtain it from them upon consultation. However, if you are not given a prescription for HCG, you can still obtain the homeopathic solution of HCG which is sold in several online stores. All you have to do is to search them online. Pay close attention to the details that are flashed on the stores’ website. Make sure that the store follows the cGMPs or current Good Manufacturing Practices and Code of Federal Regulations that are set by the FDA to ensure that you get high-quality product.